Shaar HaKavanos contains the Arizal's assurance that if a person occupies himself with learning Torah on the night of Shavuos and does not sleep at all he will certainly not die that year and absolutely no harm will come to him. Can we understand this assurance from the Arizal literally? How do you account for the people who died in the same year that they stayed up all night learning or saying Tikun Leil Shavuos? First of all, the language of the Zohar/Arizal is "osek" in Torah. Toiling means at least working to be connected to Hashem either by doing the kavanos the Arizal prescribes while saying the Tikkun or by at feeling inspired by their loftiness even if one doesn't fully understand them. I don't mean merely thinking about the kavanos either. I mean living them. 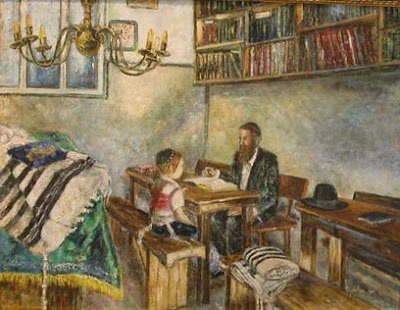 At the very least one should learn Torah in a connected way that is the true meaning of receiving the Torah, whether one knows the kavanos or not. But I am not sure if I see the difficulty with your question even if you don't take into account the above points. Did these people really waste no time the entire night? Even during the meal or on their way to and from shul? Even while taking a coffee break? The Arizal's prescription for the entire night is from beginning to end. Not many people manage this. Once someone came to Rav Tzvi Hirsch of Liske, zt"l, to speak over a great pain he had in his heart. "I saw in sefarim that someone who doesn't speak any mundane words for 40 days will merit ruach hakodesh. I did this but it didn't help me in the least! Where did I go wrong?" Rav Tzvi Hirsch asked about his davening during this period. When the man confirmed that he had not always focused on what he said, Rav Hirsch said, "Your tefilos without focus are an aspect of mundane speech as far as the level of attaining ruach hakodesh is concerned. The same is true regarding Shavuos davening. This is especially true here since, kabalistically, part of the tikkun of Shavuos is the davening. One reason why this segulah is brought in many places is because it teaches the power of the learning on Shavuos night. On Shavuos we receive the Torah. When the entire nation accepted the Torah at Sinai, they corrected the sin of Adam HaRishon and nullified death. Similarly, a person who takes on the yoke of Torah and avodas Hashem on this holy night can nullify death for the entire year. The promise is regarding someone who does it right. Sometimes someone who is simple can draw down the highest supernal illuminations by doing their best. While we are on segulos, let me give you another one to ponder. The Chida writes that one who merits true humility will not be harmed or damaged in anyway. Even if it is decreed for him to die, he will live a long life of fulfillment. Of course, attaining true humility is a lifetime of toil. Hashem should help us all come to true humility, the only genuine way to learn Toras Hashem with dveikus! This question is a non starter because who can say what "harm" is? Why would we waste a night of learning to gain our small minded interpretation of what we consider a non harmful year? ASJ- Do you know people who have died in the year following all night learning or are you assuming that it happens? R. Golshevsky- Does the assurance of the Arizal have relevance to the many who are not at the level to achieve such a hight degree of "osek b'Torah" for such a long stretch, especially when they are typically asleep then? Iam sorry .Sounds like rationalization for the Arizal. david on the lake: As ASJ mentioned, the Arizal says harm or death. The question seems pretty clear; how could someone die or be severely harmed? As for you second question, I don't understand. If the learning of Shavuos night protects why does that mean it is wasted? Chazal tell us that giving ten percent of one's income to charity confers wealth. Surely this reward doesn't waste the spiritual benefits of tzedakah. Anonymous: The assurance definitely applies even to those who are not holding on such high levels. This is what I meant when I wrote: "Sometimes someone who is simple can draw down the highest supernal illuminations by doing their best." One important rule in avodas Hashem is to do what you can according to your level. We should advance spiritually a step at a time, not skip levels. Hashem wants what we can give nothing more. But we must realize that in such circumstances the protection is an aspect of a free gift. Since we don't deserve it there is no question how someone not on a high level could lack this protection. Rebbe Nachman of Breslov said that the main thing on Shavuos is not to sleep, but not in the context of the segulah of the Arizal. Staying up for the duration of this holy night is very precious regardless, especially if one does what he can with as much connection as he can muster up. Josh: I am not sure which reason you mean so I will explain them all. 1) If you don't have joy in learning (or other mitzvos)you lack the most integral part of the mitzvah (Rabeinu Bachayah.) Do you think this segulah is a payoff for the learning even to someone not joyously connected to Hashem? 2) The Arizal himself says, "and he will osek in Torah the entire night." You think that saying this segualah doesn't apply to every person who wastes time is far fetched? 3)I pointed out that the learning of Shavuos is part of a process. The process includes the Yom Tov davening etc. Do you really think it's difficult to say that one who puts no focus on his davening doesn't merit absolute protection? There is a lot more which can be said, but I figure since you didn't like my other answers I will give you a different one. People wonder why there are many people who give 10% of their earnings and don't get wealthy. When someone asked the Chofetz Chaim this question he replied, "Although healthy food often keep one in good health, eating well won't save someone who has imbibed poison! So too, one who has imbibed spiritual poison won't merit physical rewards promised from mitzvos." It seems clear that the same Surely the Arizals promise to one who learns the entire night of Shavuos is not more efficacious than Chazal's promise regarding giving ten percent. This certainly extends out to the greater topic of segulahs in general. When a tzaddik gives a segulah, it would seem mighty odd for him to be giving what can only be achieved by tzaddikim. After all, he's giving it to his talmidim or kehilah or chassidim. He can't imagine that they're all tzaddikim and are going to achieve a level of learning / concentration / focus / kavanos / at the highest levels. This is like the opening of Tanya and the gemora quote of Abaye. If the tzaddik considers himself average, then the rest of us are condemned to the status of rashaim. If having the nerve to walk home from shul and have ones meal (and not be learning every step) cancels the segulah, then you have a segulah that is at odds with normal kosher behavior. I would think that if a segulah was meant for only those of the highest level, it would say so. We have practices that are marked only for the most righteous (for example the tefillin of the Ravad and Shimush Raba(?)). I believe the question for a general segulah is different - whether it's benefits can outweigh serious dinimin within one's matzav. While a segulah carries special merit seemingly out of proportion with the physical action, who knows what negatives it may have to offset? Given your model of explanation, why would anyone actually try a segulah? Akiva: Since we both live in Israel and for us Shavuos is over I am replying to your comment. I am a little confused regarding what you mean. Of course the segulah most often works. But the only way it is 100% is if one does it 100%. This why the question of how could so and so have gotten damaged or worse chas v'shalom after learning the entire night of Shavuos (or worse) is a "non starter." The Arizal uses very powerful language: "will surely not die or come to any harm" to refer to those who "do it right." For the rest of us there is no 100%. My piece was merely a response to ASJ's plausible and compelling question. Do you think if one gives ma'aser he will absolutely be wealthy? If the Chofetz Chaim I mentioned is not enough for you for some reason, I think you will have very many people asking you why they aren't wealthy. Rav Pinchas Koretzer was also asked by a poor person why he wasn't wealthy despite the fact that he gave ma'aser and he responded similarly to the Chafetz Chaim I quoted. Tzadikim are a completely different story, totally not in the scope of this comment. But perhaps one quote from Chazal about a tzaddik is sufficient to show there is no correlation between a tzaddik and segulos: "A Tzaddik decrees and Hashem fulfills." We don't find such a statement regarding segulos. Of course the Arizal was the ultimate tzaddik but this segulah is not from him but from the Zohar and the reason behind it is explained. In very simple terms, one needs to get to a certain spiritual level to effect this segulah. If he doesn't get there there is no guarantee. Sometimes doing what I can with joy gets me there anyway since "Hashem wants the heart." And "G-d is not a tyrant" as Chazal tell us. But no guarantees. The Beis Avraham of Slonim and Rav Avraham ben Rav Nachman both said: "(In Yiddish) The Shabbos after Shavuos is referred to as 'Shabbos noch Shavuos.' Noch also has means 'another.' This alludes to the fact that Shabbos after Shavuos is another Shavuos during which we can draw down the awesome light of Shavuos itself." Hashem should help us fulfill this! I have a different question. If this segulah is effective, then how come the Arizal eventually died? Does this mean that in the year of his death, the Arizal did not commit himself 100%, with the proper kavvanos, to tikkun leil Shavuos? And if not, isn't this מאבד עצמו לדעת? Or a violation of וּשְׁמֹר נַפְשְׁךָ מְאֹד? Josh Waxman: It is true that the reasons in the main post do not apply to the Arizal and other great tzaddikim. I only answered the question regarding regular guys like us. However, as I wrote above, sometimes our actions can block a segulah, since clearly a segulah doesn't remove free will. Just as one can gain the good effects of a segulah, he can loose them. Clearly a tzaddik who is judged more stringently can at times loose the segulah quicker than an average person. As far as your question of how the Arizal died, he said so himself! I will give you the short short version: Rav Chaim Vital asked the Arizal to reveal the meaning of a certain Zohar Hakadosh. The Arizal begged Rav Chaim not to ask him since although he was required to teach Rav Chaim whatever he wished, revealing this secret was dangerous and could cost the Arizal's life. Rav Chaim did not relent, the Arizal explained the Zohar and the gezeirah was cast. Although the Arizal tried to sweeten it, he was unable since his students failed to completely obey his instructions. This untimely revelation blocked the segulah as the Arizal saw it would. I would like to conclude with some words of the Ramchal which explain a little bit of the principal of how segulos work: "One who hopes to Hashem has spiritual vitality, life and joy.One who worries is spiritually dead!" Hashem should always fill us with hope! But if sins can undo the effect of the havtacha, what kind of "havtacha" is it? Surely there is no man who has not sinned? Aside from this, why did Rav Chaim Vital die? Why did the Gra? Why did Ramchal? Has there been a single human being who consistently learned tikkun leil Shavuos that has consistently lived, and never died? How could this happen. OK, let us take tzadikim out of the mix. But in terms of non-tzaddikim: the Torah was not given to malachei haShares, but the havtacha of the Arizal was? I don't think any non-tzaddik can say that for a period of several hours, he learned entirely, with not a single fleeting thought towards other matters, for half a millisecond. Human beings' brains do not work that way. Even Dovid haMelech was distracted for half-a-moment by the malach hamaves, and he died. Josh Waxman: The teaching of the Arizal, the segulah or "havtachah," exists within a particular context, as I already explained. The longevity of tzaddikim is not relevant, because obviously tzaddikim are sometimes taken from this world even through no particular fault of their own but as a kapparah for the generation. My point is simply that a segulah does not come with a money-back guarantee. The segulah is a means through which one can connect to the Chai HaChaim--if one is zocheh, great. If not, then not. Derech agav, there are many different types of segulos for any number of maladies, situations, etc., and people do them with the hope that they will be zocheh that it will have a positive effect. When Dayan Fischer zt"l used to send women with breech babies to a stream outside of Yerushalayim to perform a particular segulah to turn the fetus, it often worked. But when it didn't, he would say, "It seems as though this baby is meant to be born feet first." I don't believe that the fact that Acharonim bring the Arizal's segulah is meant to be anything other than a chizuk to work as much as possible to attain dveikus leil Shavuos in order to merit blessing for the year. does havtacha consistently mean segulah? i don't know the terminology, but is it not a chiddush that they are synonymous? But who was he promising? He was speaking to Rav Chaim Vital. When he says in the havtachah, "all who will stay up all night without sleeping for even a moment v'yihiyeh osek baTorah kol halaylah, and will delve in Torah the entire night..." He was speaking to Rav Chaim Vital. It is obvious that he doesn't mean with a coffee break etc. etc. The havtachah was to those of Rav Chaim Vital's ilk , who davened properly and could definitely learn an entire night through. The Arizal didn't say: "Spread the word since this can save every Jew no matter how simple.."
Let's not place ourselves on the level of Rav Chaim Vital or try to gloss over/ ignore this part of the havtachah or who the Arizal was speaking to. Perhaps this is one reason why the Brisker Rav would say, "Why do people stay up Shavuos night which is not in Shulchan Aruch and not Pesach night which is?" Although he was very meticulous in any matter of life and death, he obviously understood as I have written: there is absolutely no guarantee. Although we wish to draw down this awesome tikkun which effects the entire year we should not fool ourselves into thinking that we are on the level of those who lived in the Arizal's time or that the Arizal was speaking to or about people who couldn't do this properly. One who does this practice with simplicity and joy, filled with trust in Hashem will surely draw this down and live through the year but... no guarantees. Adaraba. If the Ari z"l lashon is oseik, and not "omel", he meant that oseik is enough. Michoel: I don't see what you mean at all. I repeat: he was talking to Rav Chaim Vital, not you or me. When he said "and will osek in Torah the entire night..." to Rav Chaim Vital he didn't mean with a coffee break or a shmuze with ploni and almoni. It is very obvious that at the very least the havtachah was regarding learning with out breaks. I repeat: One who does this practice with simplicity and joy, filled with trust in Hashem will surely draw this down and live through the year but... no guarantees. Perhaps this is why seforim are very stringent about not talking until after davening on Shavuos. This may also be why many greats (such as Rav Shlomo Zalman Aurbach and the Beis Yisrael of Gur) would grab some sleep Shavuos night. I am not suggesting one do this. Merely saying that I see absolutely no question here. Ameilus often has a different connotation than osek (see Gur Aryeh beginning of Bechukosai,)but I never said one must learn with incredible iyun. The Arizal prescribes a tikun which he says achieves something particular. After the tikun he says one should learn sodos. Some authorities hold that learning other things can also attain this end. Clearly he doesn't mean to learn the tikun biyun. He means with dveykus and connection. But let's not forget the ikar:it's still not too late to accept the Torah today! I'm posting a year later, but i'm curious why you chose to emphasize the subtlety of what 'oseik' means but took 'sleep' literally. Doesn't sleep also have spiritual and more subtle associations/meanings? Couldn't one be awake the whole night learning and still be 'asleep'? Yitz: First of all, I think it's easier to demonstrate that one is not osek baTorah all night then to show that someone is spiritually asleep. But ein hacha nami; as Rebbe Nachman says (along with many other greats) it is possible for one to sleep his entire life away Rachmanah l'tzlan! But I think that when I wrote that one must learn Torah in a connected way this is the other side of the same coin as failing to avoid spiritual sleep. And I believe it is the simpler side. Of course, Lag b'Omer is just around the corner. It comes out of Rebbe Nachman's writings that Rashbi was truly awake every instant of his life. This wakefulness is imbued within the Zohar Hakadosh. (And the many deeper seforim based on the Zohar.) Learning (and living) Zohar, Chasidus etc, enables one to attain true spiritual vitality-wakefulness. Hashem should should awaken us all to a meaningful sefirah, Lag b'Omer, and kabalas Hatorah!